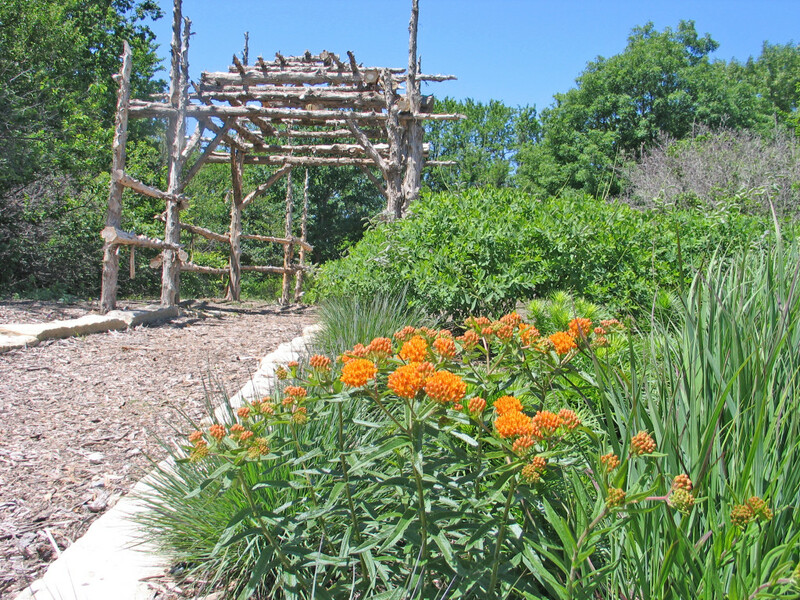 As inhabitants of the Great Plains prairie, we are motivated to landscape with native plants for a variety of reasons. We are especially inspired by what pleases us visually. 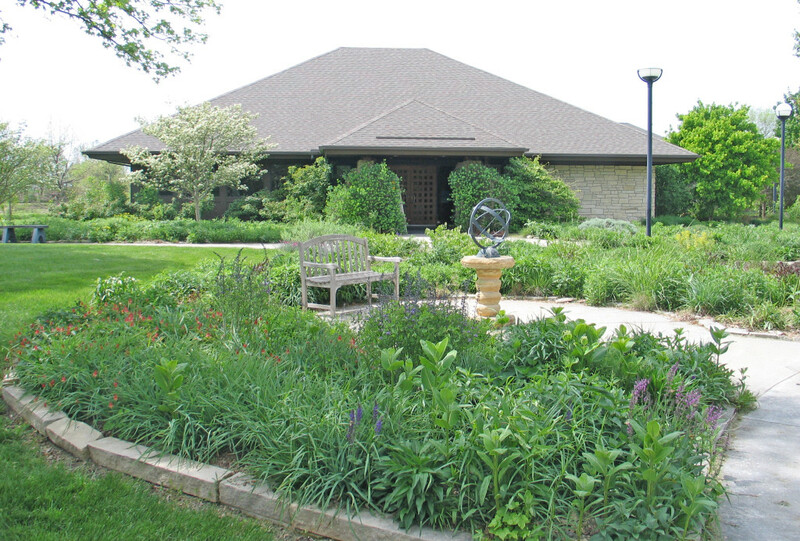 The Dyck Arboretum of the Plains has been developing a strong connection with the public through the arts. For the last five years, our Prairie Window Concert Series has promoted enjoyment of music in a prairie garden setting, and for at least 15 years, we have been featuring visual art on our grounds and in our buildings. 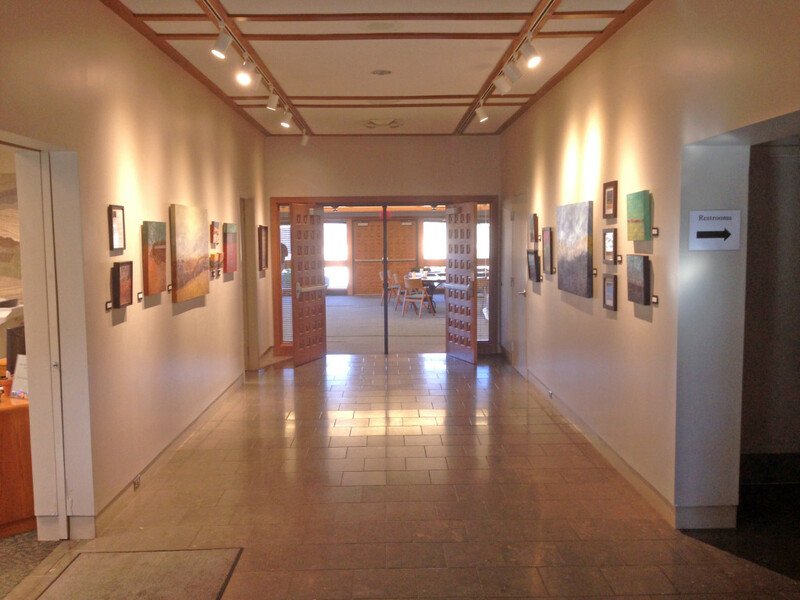 In the spring of 2013, we held a well-attended Prairie Inspired Art Symposium. Native plants provide so many appealing visual traits in their flowers, vegetation, seed heads, and pollinators they attract. 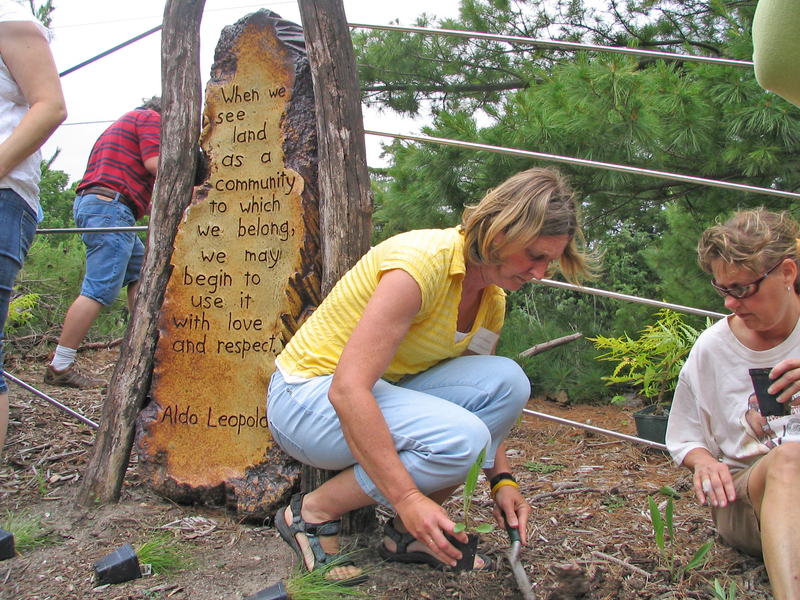 Visual art in the garden gives yet one more way of enhancing the visitor experience. 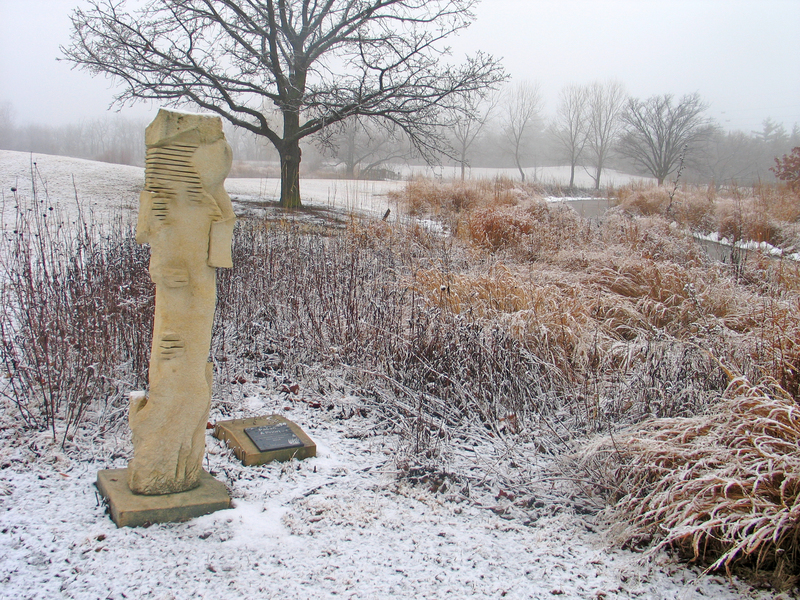 The following works of visual artists are featured at Dyck Arboretum. 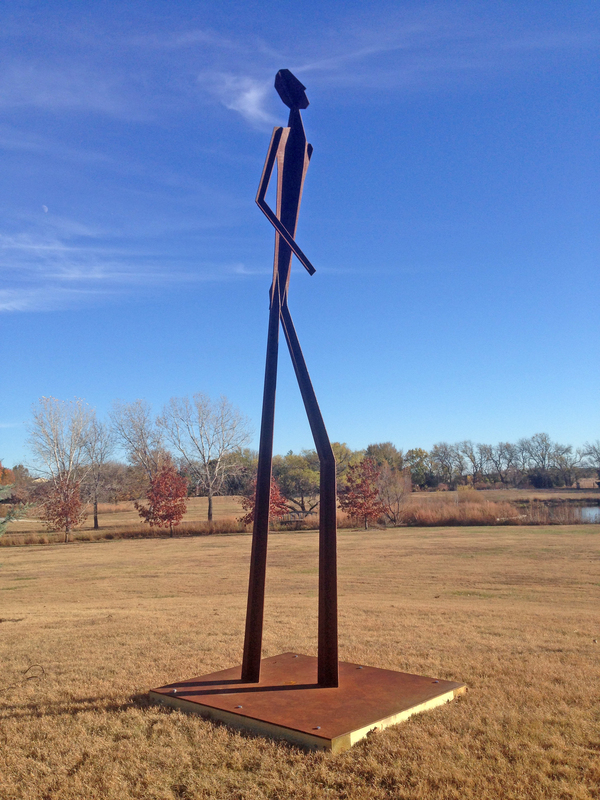 Norman Epp (Denver, CO) – Norman’s works are created from reclaimed materials, are friendly to the environment, and nurture a spiritual concept that “being human is to actively be “one with nature”.” The piece Paean A Priori is made of Kansas limestone and can be found just south of our visitor center. 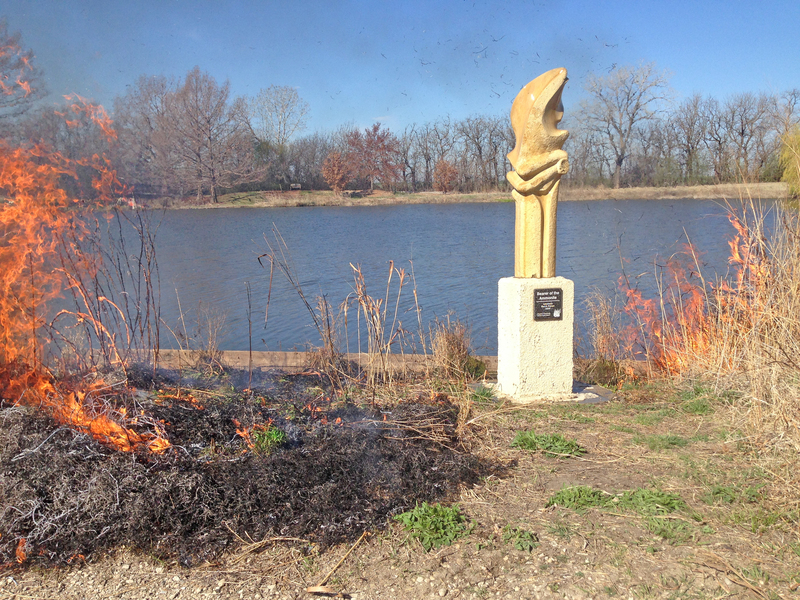 Paul Friesen (Hesston, KS) – Long-time professor at both Hesston and Bethel College, Paul has produced for Dyck Arboretum native material sculptures made from Osage orange (Prairie Sentinel) in the Visitor Center and Kansas limestone (Bearer of the Ammonite) on the pond island, respectively. 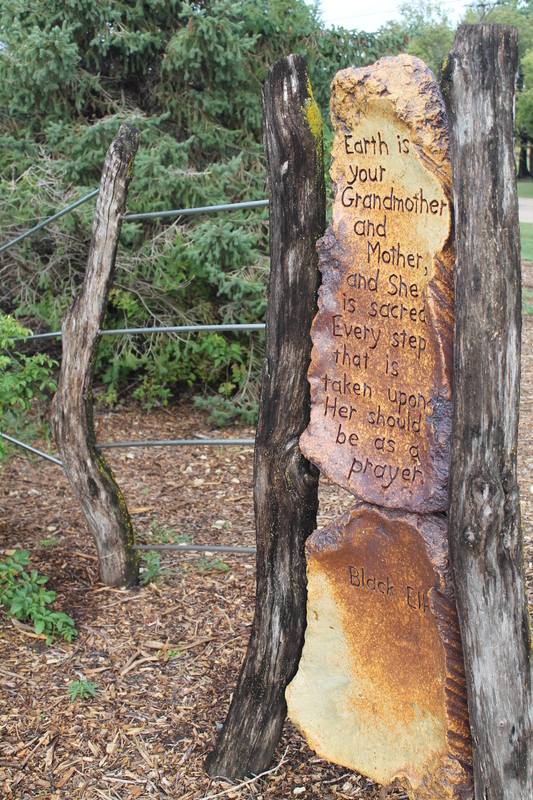 Conrad Snider (Newton, KS) – Making use of large clay pieces for which he has constructed his own special kiln, Conrad has produced three installations for Dyck Arboretum. 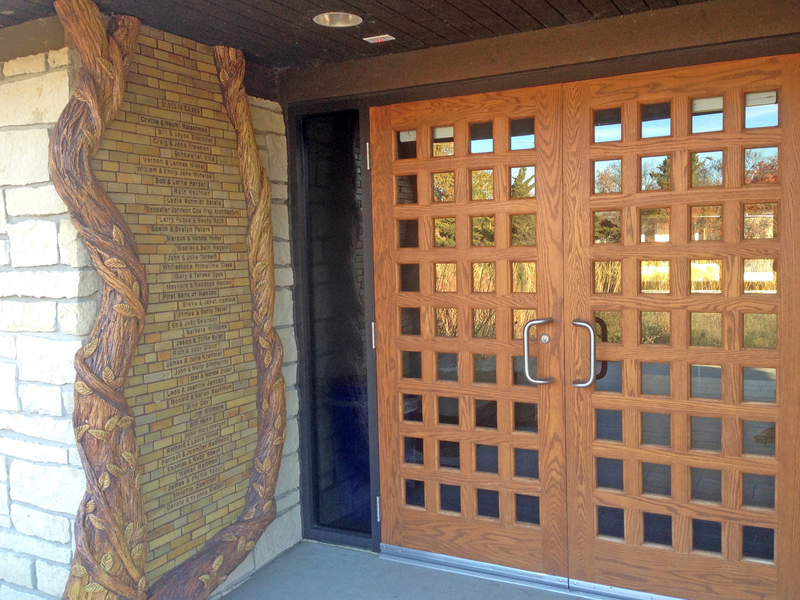 Two pieces honor the donors that helped fund our Visitor Center and Prairie Pavilion. A Sense of Place is a spatially-scaled mural representing the mile sections that consist of the Arboretum watershed between West Emma and Middle Emma Creeks and the unnamed Pavilion piece accentuates our symbolic twining vines of support. 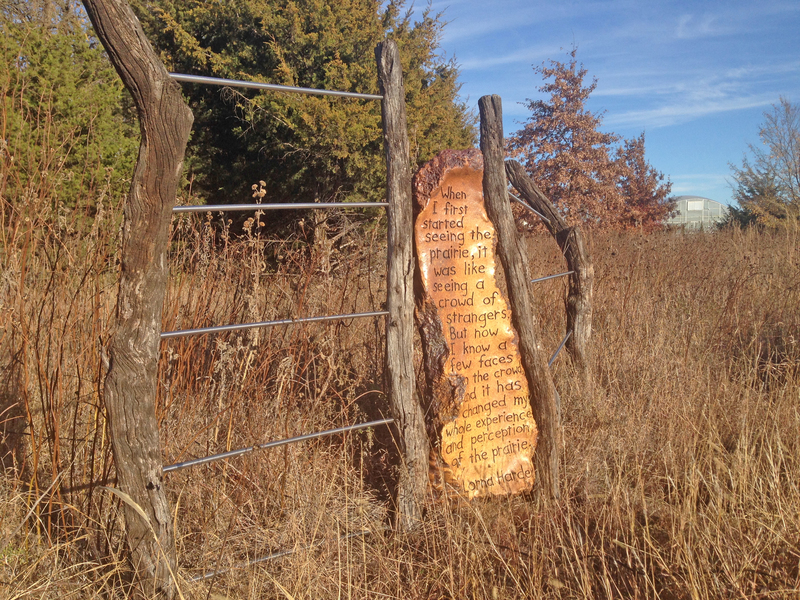 The 12-pieces of Prairie Fence, made of clay, Osage orange, and steel along our walking path symbolically represent the barriers that exist between urban and natural areas. Featuring quotes by both nationally renowned and local conservationists, these “fences” are made to appear weathered and deteriorating, because at Dyck Arboretum we are working to break down these barriers. 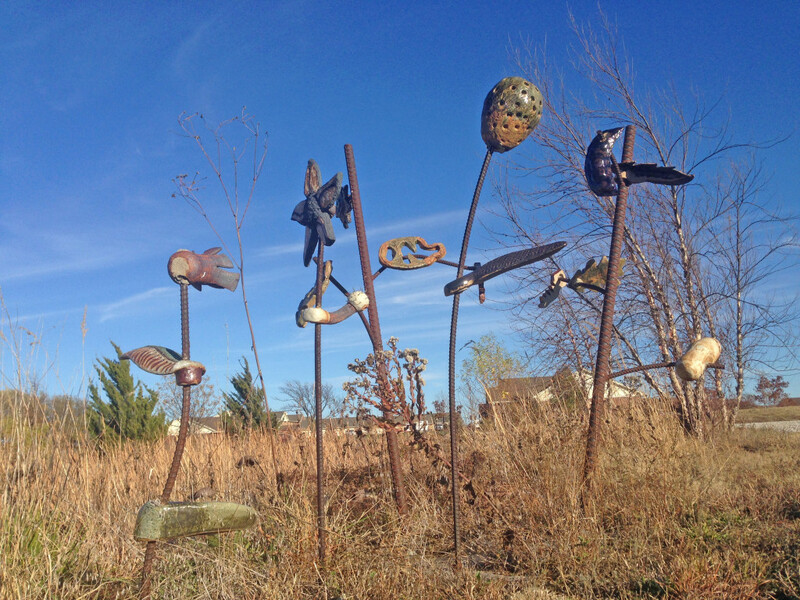 Hanna Eastin (Newton, KS) – As artist-in-residence and Hesston College faculty member, Hanna worked with students to create and install ceramic and steel pieces that reside along our Prairie Window Project rain garden. John Merigian (Newton, KS) – A 13-foot tall temporary installation (Contender) made of Corten steel. Let us not forget the art found in architecture. Frank Lloyd Wright, considered by many to be the greatest American architect of all time, was very artistic in his architecture. He believed in designing structures that were in harmony with humanity and its environment, a philosophy he called organic architecture or sometimes “prairie style.” This style echoed the wide, flat, treeless expanses of the Plains where structures look as if they naturally grow from the site.While the Arboretum cannot claim to have Wright architecture, many of our structures certainly embody elements of his elegant and natural style. 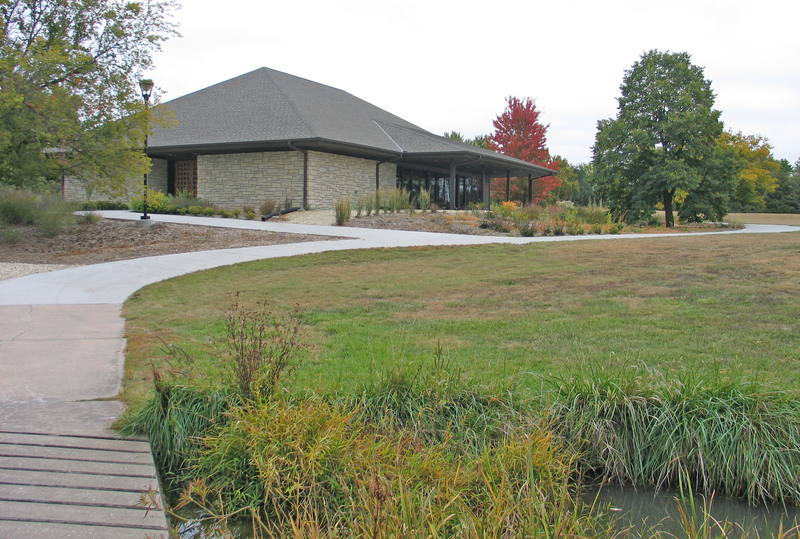 Visitor Center and Prairie Pavilion – Use of native limestone and low, horizontal lines help these two facilities fit nicely into the prairie landscape (designed by Schaefer, Johnson, Cox, Frey Architecture). 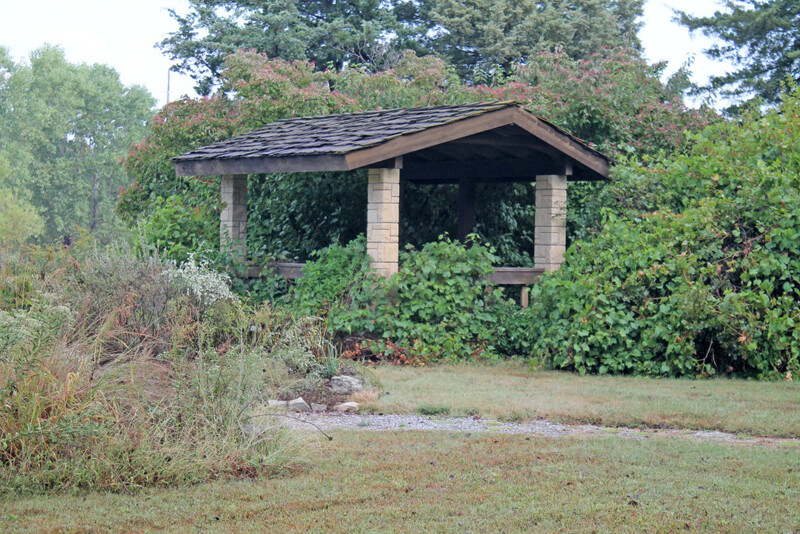 Prairie Shelter – A favorite shady spot tucked in next to our natural amphitheater with an overlook view of the pond (designed by John Miller). 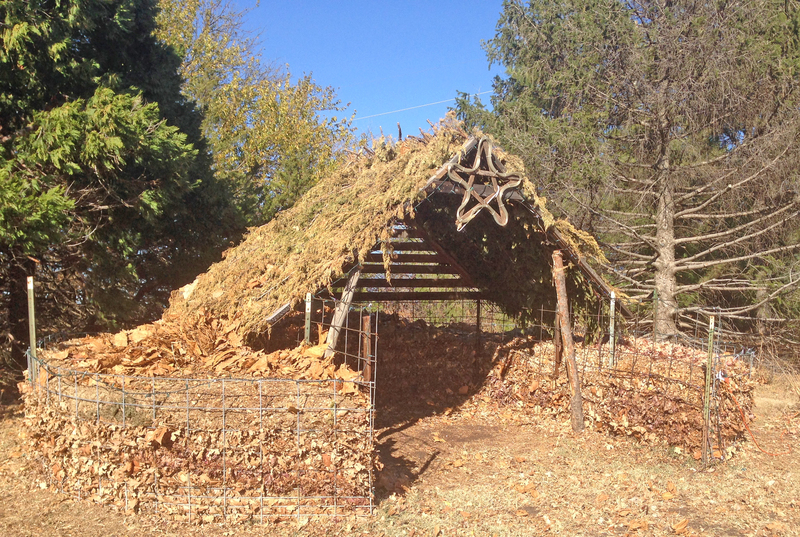 Cedar Gazebo and Leaf House – These two structures developed out of available natural resources including eastern red cedar posts (cut from a nearby prairie restoration project), cedar boughs, and community tree leaves. These structures are seen as semi-temporary on the landscape since they are dynamic and will weather more quickly over time (designed by Scott Vogt and Gerry Selzer). 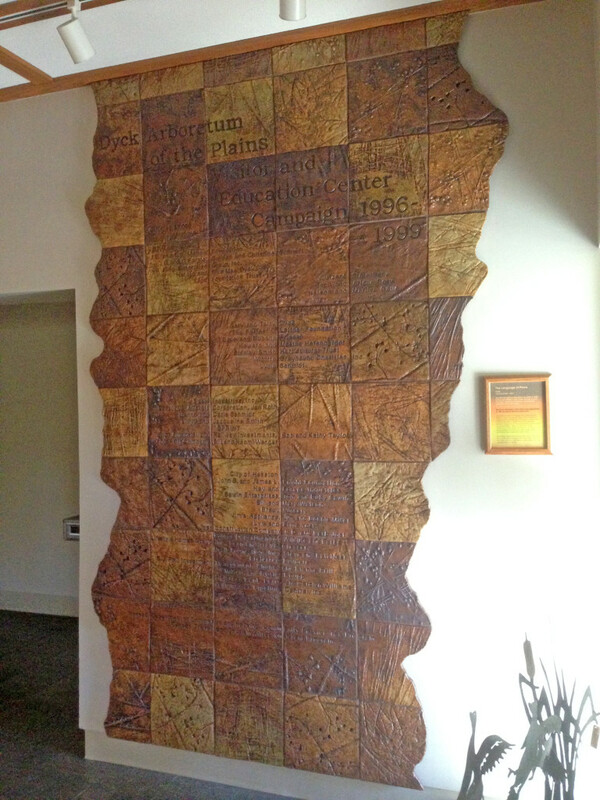 Our Visitor Center entrance and art gallery has rotating displays of wall hanging works from local artists. The current featured artist is Barbara Haynes. (Wichita, KS). Come to the Arboretum and experience how the Kansas prairie and our permanent as well as temporary art installations can be pleasing to you.